An annual campaign is best described as a campaign conducted each year for the purpose of raising money to assist in paying a non-profit organization’s regular, ongoing expenses. The money it raises is most commonly used to offset an operational deficit, but it can be applied to any purpose. The annual campaign is usually an organization’s primary source of unrestricted contributed income. How is this different from other fundraising campaigns? An endowment campaign raises money that the organization invests in income producing assets. Endowment is a wonderful thing for a nonprofit organization. Endowment funds provide money for daily operations and extraordinary expenses, including capital expenditures. A capital campaign raises money to cover the cost of capital assets that cannot and should not be part of a nonprofit organization’s annual operating budget. Probably the best known form of capital campaign is one that raises money for a new building or improvements to an existing one. However, capital campaigns are not limited to bricks-and-mortar fundraising efforts. Capital campaigns are commonly used to raise money for equipment or any other depreciable good. The AAVSO has many funds you can donate to. Any donations made to a specific fund, other than the General Fund, are restricted, and can only be used for the specific purpose of that fund. This is a professionally managed fund, invested for the perpetuity of the AAVSO. From time to time, transfers from this fund into the General Fund are made as necessary to meet operating deficits of the Association. This fund is dedicated to replenishing the Endowment Fund for the cost of purchasing the headquarters building (49 Bay State Road, Cambridge, MA 02138), to provide funds to refurbish the building, and to cover other costs incurred with the original purchase. This fund enables a visiting scientist, postdoctoral researcher, or student to perform research at AAVSO Headquarters with the goal of disseminating the results throughout the astronomical community. This fund helps finance a summer student at AAVSO Headquarters who works on variable star-related projects and research while learning about the AAVSO and variable stars in general. Only the accumulated interest and not the principal may be used. This fund helps to pay the staff costs of running the section, publishing the Solar Bulletin and travel expenses for visiting solar researchers. This fund pays for refurbishment and maintenance of telescopes, cameras, mounts, computers, software and hardware required to operate the robotic telescope network. Funds donated to this program pay the membership dues for those active variable star observers who want to become members of the Association but cannot afford the dues, or cannot send money to the US due to political restrictions. Contributions to this fund supply travel grants to astronomers invited to or wishing to participate in the AAVSO’s annual and spring meetings. Donations to this fund will pay for up to 10 student registrations per annual meeting of the AAVSO. 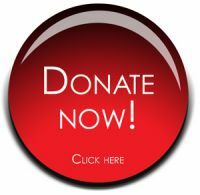 Donations to this fund will be used to support the editorial, publication and website costs associated with the Journal of the AAVSO. Donations to this fund support the cost of cloud computing, maintenance and development of the AAVSO’s online photometric analysis software, VPHOT. Gifts and contributions made to the Association for restricted purposes as specified by the donor thereof. All such restricted funds of the Association shall be administered in strict accordance with the instructions of the donor. The Association is not obliged to accept any assets so offered. The American Association of Variable Star Observers is a registered 501(c)(3) non-profit scientific and educational organization. All donations are tax deductible to the extent the law will allow.